I’m lucky enough to have a lake in my neighborhood. I pass by this view on my morning walk. 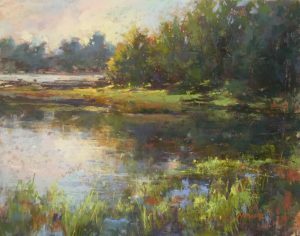 This pastel painting started as a plein air and then finished in the studio. Painted on UArt 400 paper.